One of the most important qualities that sets leaders apart from followers is thinking ahead of time. Narendra Modi falls into that rare category of leaders. Climate change seems to be the buzzword for the intellectuals in the west. May be not so much so in the developing countries, but climate change discussions today feature prominently in renowned newspapers across the globe. Almost on every international platform the leaders are expected to come clear of their vision of tackling this imminent danger before humanity. On his maiden speech from Red Fort he addressed the need of ZERO EFFECT, referring to manufacturing products which have zero effect on our climate. This is significant as Climate Change is something that is affecting all us. We all are in it together. We survive together. It would be naïve to assume that Climate Change is a thing of the west, we have to own it together as responsible citizens. Climate change is an issue that should concern all of us. There are countries and populations which are more vulnerable to climate change by the virtue of their geographic location. The small island nations like Maldives, Mauritius and many other small island nations in the oceans across the world face an existential threat. About 50% of world's population lives within 200 kilometers from the coast. The cities located on the coast line like Mumbai, Shanghai and those like Singapore and Hong Kong are among the biggest business centers of the world. On the recent visit Barak Obama urged India to do more on the climate change front. As expected it was one of the two question asked in the joint press conference. Answering a question on whether India is under any pressure from US and China with regards to its efforts on climate change Narendra Modi responded that India is not under any pressure and in fact is strong enough to resist any such pressure. However as a responsible country we understand our collective responsibility and will contribute towards mitigating the effects of climate change. 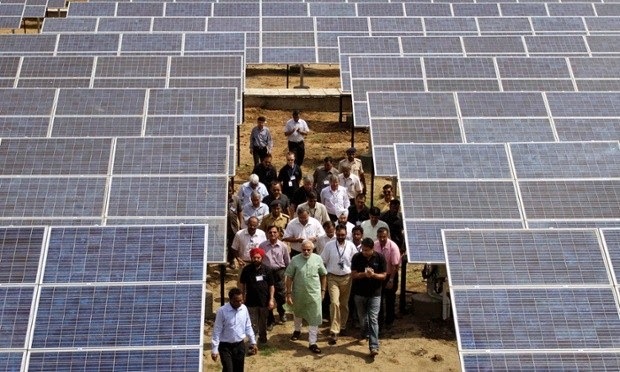 It is worth noting that Narendra Modi while serving the state of Gujarat as the chief Minister has taken big initiatives to tap the solar energy potential of Gujarat. The Charanka solar park in Gujarat is an “ultra-mega” power project and the biggest in Asia. A brainchild of Narendra Modi. As chief minister of Gujarat, Modi urged the companies to build a solar plants across the state in just a couple of years adding 900 MW to the electricity production. Now, as prime minister, we trust him to deliver more on this front. Keeping in line with his man of action reputation, the government has identified 17 critically polluting sectors. The Environment Ministry has also mandated stringent rules for cement industries to lessen the pollution. The government plans to engage 3206 units to put in place the monitoring devices on the affluent discharge points and on chimneys of the industries to check the level of pollution”. The electric fences on our Northern border will be solar powered too. 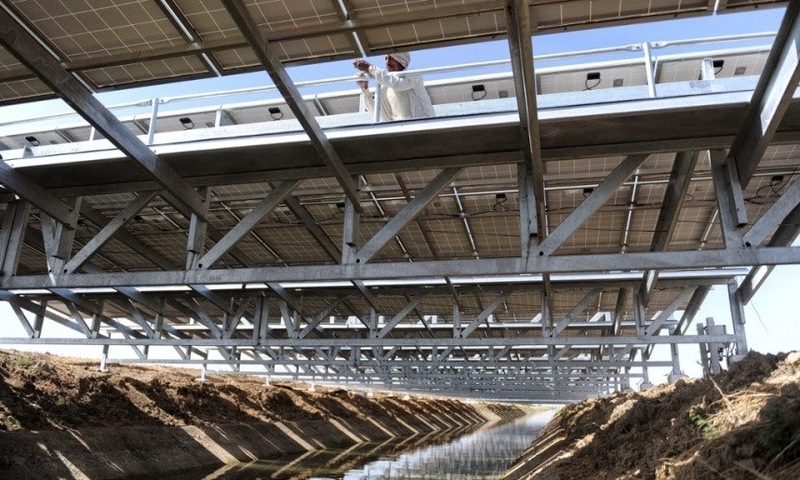 The Military plans to install solar panels producing 1000 MW of electricity. Another 7,000MW of solar is out for tender across the country and the rooftops of Delhi are to be bedecked with panels under a new scheme. The country needs more decentralized power. These rooftop solar panels can also reach the large parts of the country where the grid has not reached yet. Prakash Javadekar, Minister of State (Independent Charge) for Environment, Forest and Climate Change on Tuesday stated that India can conserve one lakh megawatts of energy by increasing its solar power production to 100,000 Mega Watts by the year 2020. This is a fivefold increase in the previous government’s plan which was 20,000 MW. Energy efficiency should become the way of life for all Indians," Javadekar stated, speaking at conference on India's climate policy. This stand of Narendra Modi has to be seen in context of the Blame from the Developed world that India has not done enough to deal with climate change. US media has often criticized India for not doing enough as the 4th biggest emitter but what they conveniently forget is that India's per capita emission is about 1.5 tons which is far too less than the world average at 4 and far too below than that of US and China despite its huge population. China has said that it is going to peak around 2030, which means that they are going to add more. India happens to be the fourth biggest polluter because of it 1250 million strong populations. It ranks far below the world average per capita emission. Like always USA is playing it cleverly and has come together with China to pressurize India which at present is a distant 4th in carbon footprint. China as expected is the largest at 24 per cent contribution followed by USA at 17 per cent. If the rise in world's average temperature has to be kept below 2 degrees Celsius then these two countries need to do more and not just act like it. As per Sunita Narain, Director at Centre for Science and Environment China and USA together will account for 50 per cent of 1000 giga billion tons of carbon emission by 2100. At present these two countries contribute about 40 per cent. China and USA have signed a deal this November. Under the deal, China committed to cap its output of carbon pollution by 2030 or earlier and to increase its use of zero emission energy to 20% by 2030. The US agreed to reduce its emissions by between 26% and 28% from their 2005 levels by 2025. The challenges before Narendra Modi today are of mammoth proportions. The country has to grow and for that we have huge requirements of energy (read petrol, coal, solar etc.). However the need of the hour is sustainable development which requires utmost pragmatism in using the available resources. We have to cut down on coal energy and the way forward is clean energy like solar energy. Narendra has already done wonders in his tenure as Gujarat CM and we are certain that he is the right man to find solutions to India’s unquenchable energy needs.